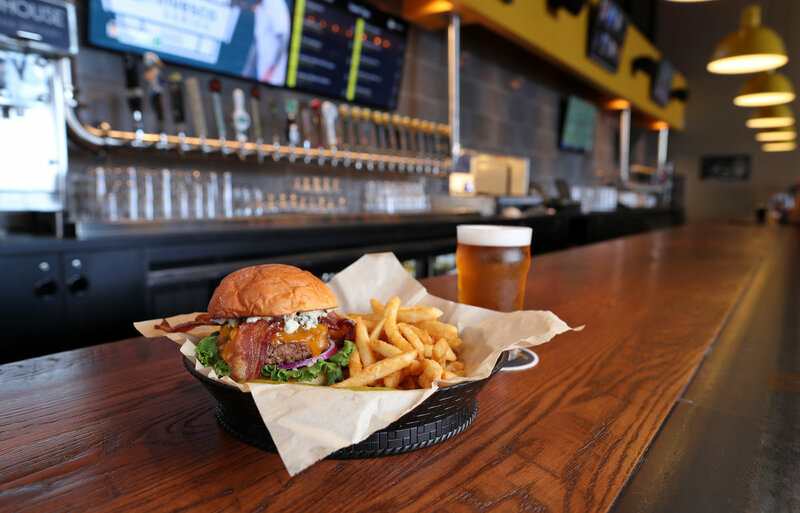 Flix Brewhouse, which is the country’s only first-run cinema brewery, celebrated its grand opening in Chandler in mid-December with Disney’s reboot of Mary Poppins. 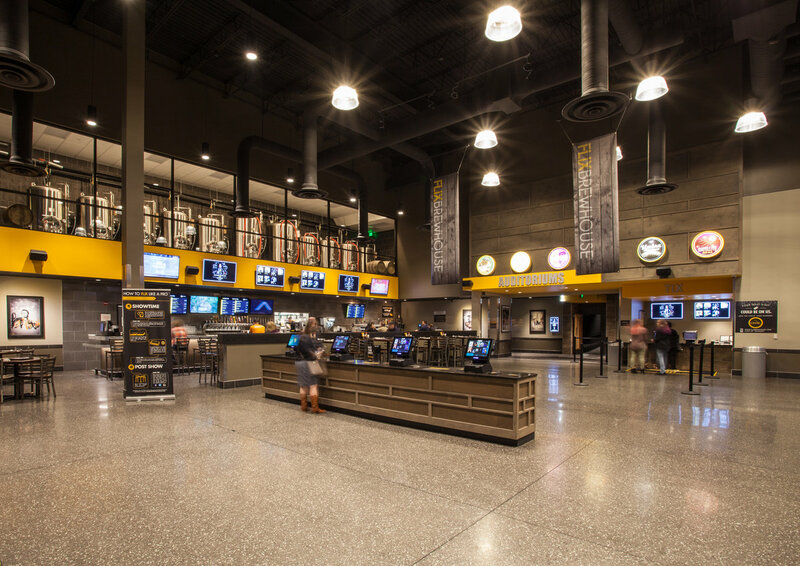 As Director of Marketing Greg Johnson notes, in addition to showing first-run films, Flix Brewhouse offers a wide variety of house-made brews, along with delicious food choices. 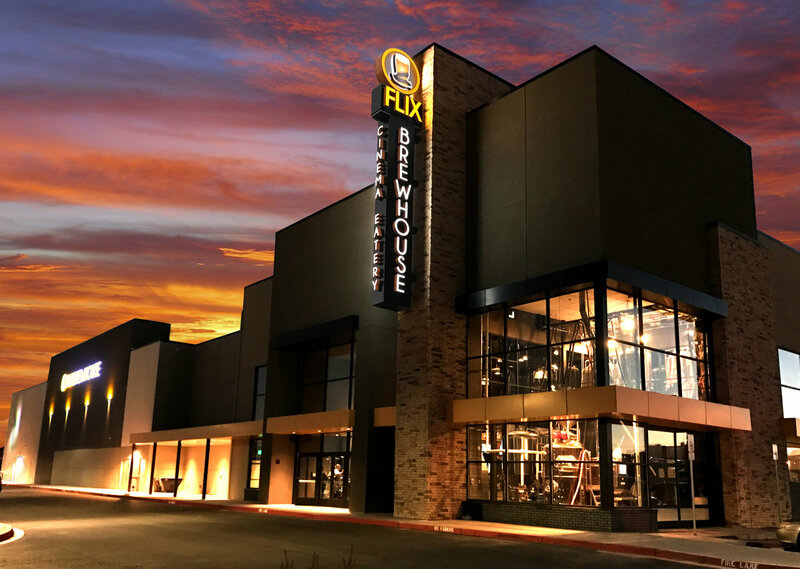 The first Flix Brewhouse opened in the summer of 2011 in Round Rock, Texas, he says. 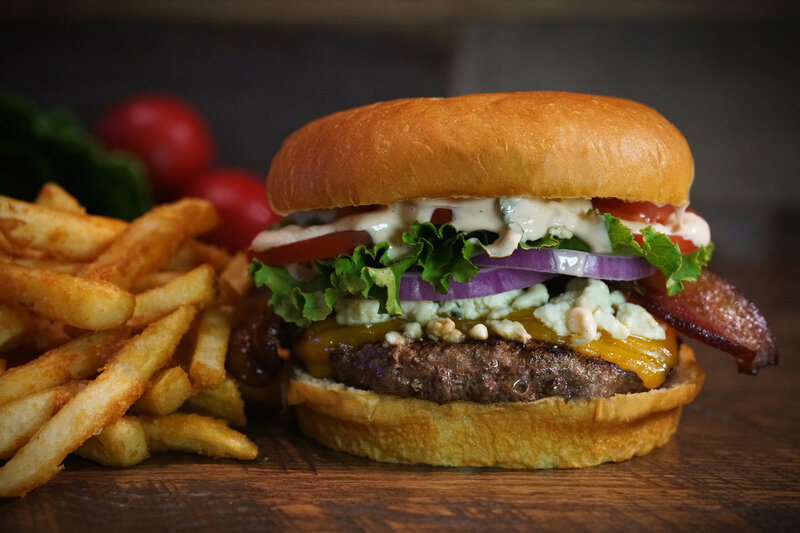 The 30,000-square-foot Chandler location is the seventh to open so far nationwide. As Johnson explains, the Flix experience begins online. 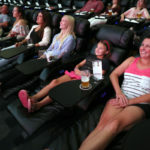 “We are a 100% reserved seating environment, and encourage all guests to join us 30 minutes before showtime so they can enjoy our custom pre-show, their server can walk them through our comprehensive menu and highlight special or seasonal beers, and so that they can get acquainted with their Flix location,” he explains, adding that when people first walk into the lobby they can actually see the entire brewing process through floor-to-ceiling windows. 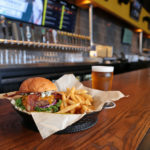 Flix has roughly 12 of their beers on tap, Johnson says, plus nearly two dozen of the best local, regional craft beers, and a great selection of cocktails. “Thirty minutes before showtime, doors open and guests find their seats. 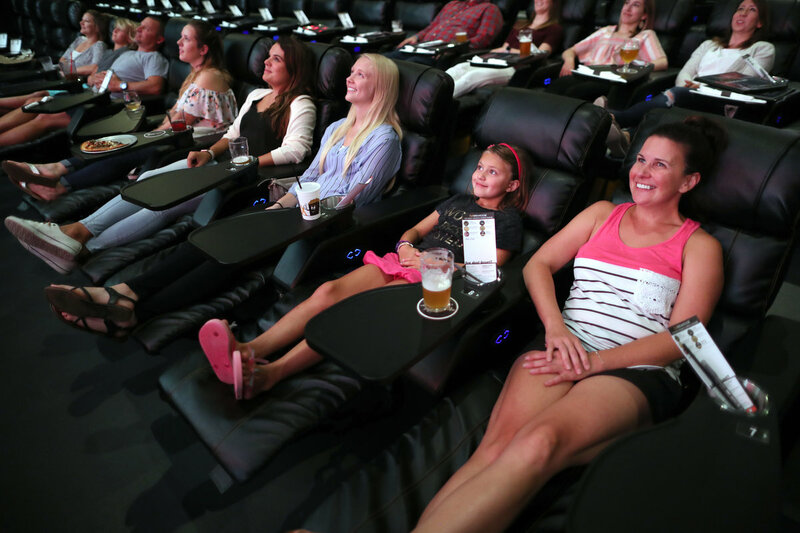 We have different seating types available, from recliners to our proprietary Easy-glider tables, custom designed for in-theater dining,” he shares. 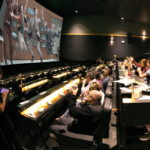 Each seat is also wired into a command and control center and equipped with a lighted call button that patrons can use if they would like to order something after the initial greeting. “During the feature, guests can use silent order pads to write their order, then press the button and we do the rest,” Johnson says. Flix shows the best and most current films Hollywood has to offer. Because of this, Johnson explains that Flix is a very family-friendly place, even though they are producing beer on-site. 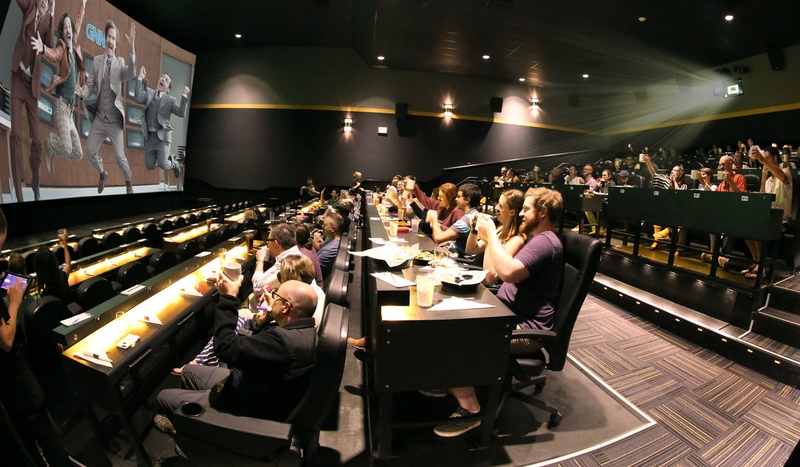 Johnson says he, along with Founder and CEO Allan Reagan, love Arizona, and have spent the last four years looking for the right location to build the first Flix Brewhouse in the region. 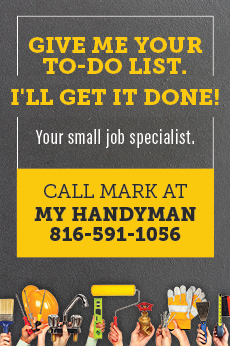 After carefully evaluating about a dozen locations throughout the area, they were pleased to select Downtown Chandler for their next location. 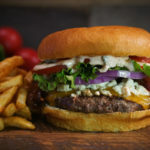 “One of the things that became apparent early in this location’s development process was that there are so many people here who want a progressive, vibrant downtown, and with Flix anchoring the new downtown in this state-of-the-industry development, we get to be a part of that new vibe,” Johnson says, adding that he and Reagan expect that Flix Brewhouse will draw over 6,500 people every week to the corner of Chandler and Arizona. 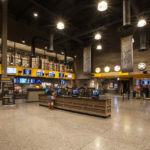 Even though Flix Brewhouse has not been open that long, Johnson says the entire community has already embraced the concept. 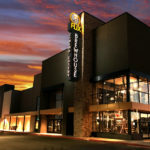 “We know Flix will quickly become the place you will think of when you want to go out on a date; when you want a great place to bring your family to watch a new Disney release; as a ‘go-to’ destination for award-winning, brewed on-premises craft beer; and even as an employer or a host for corporate events,” he says.